Sancho netted both goals inside the opening 25 minutes for Dortmund, who were thrashed 5-0 by Bayern Munich last weekend. 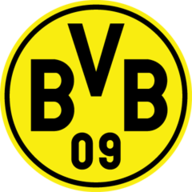 The win moves Dortmund two points above Bayern, who travel to Fortuna Dusseldorf on Sunday. RB Leipzig closed in on Champions League qualification after stretching their unbeaten league run to 11 games with a 2-0 win over Wolfsburg. 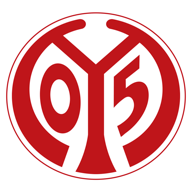 Kevin Kampl got the home side underway with a curling shot inside the far post in the 15th minute, and Timo Werner headed in the second goal. Two late goals from Davy Klaassen and Theodor Gebre Selassie gave Werder Bremen a 2-1 win at home over Freiburg. Bremen are one point above seventh-placed Bayer Leverkusen, who ended a run of three defeats with a 1-0 win at Stuttgart thanks to Kai Havertz's second-half penalty. Stuttgart's Santiago Ascacibar was sent off after lashing out at Havertz in injury-time. Fifth-placed Borussia Monchengladbach won 1-0 at bottom side Hannover. Lars Stindl's return to Hannover was ended after a collision with Matthias Ostrzolek in the first minute. The Gladbach captain had to be helped off the field before he was taken to the hospital.